Today marks the end of my first month as a non-smoker. I used to smoke 25 or so cigarettes a day and for the last month I have had none. I am so proud to add my name to the long list of people who have successfully gotten rid of this nasty money eating habit. I had had this habit since I was 14 years old. I have never made it more than 2 month without a cigarette before so I am very nervous to start my second month of this but with everyone's support I know I can make it. I finished my second pair of socks for my 2015 goals today too. Without smoking I seem to have way more time to knit. Or, I knit more to keep my hands and mind occupied lol. This will be given to K for his 15th birthday. They are a 64 stitch cast on a 7" leg, 30 row heed, and 8" to the toe decreases. I did a k1,p1 rib for 10 rows and then switched to a k3, p1 rib for the rest of it. 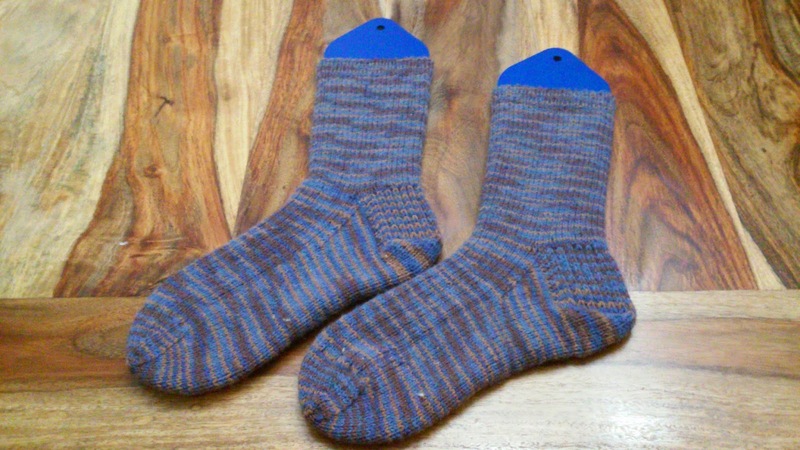 I used Bernat Sox in the blue/brown colorway. I started them on the 19th and finished them this evening. I found G his valentines for his classmates at Wal-Mart today too. 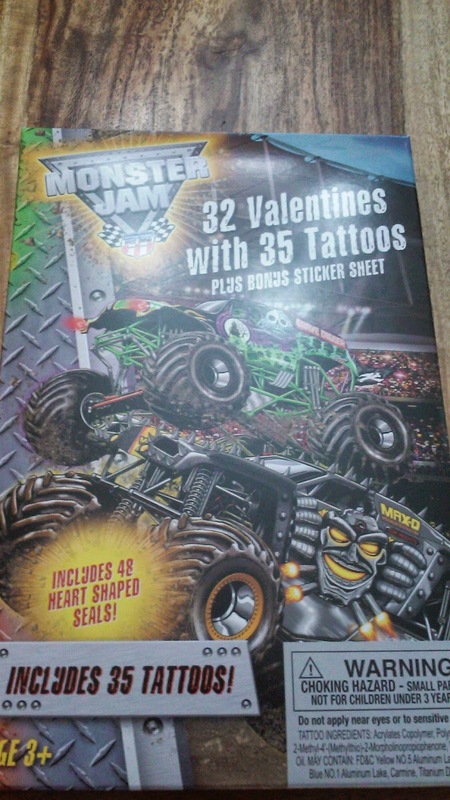 He is a huge Monster Jam fan and has given out Monster Jam valentines for the last 3 years lol. 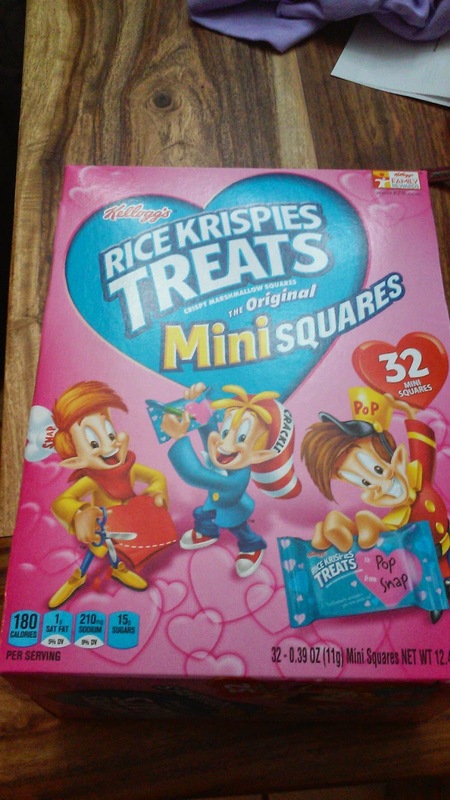 G is going to give rice crispy valentines to her daycare friends. We went with a treat so everyone can have one. We stopped into my moms work which is JC Penney because they have their mens coats on clearance and K has grown so tall in the last year that his barely fits. 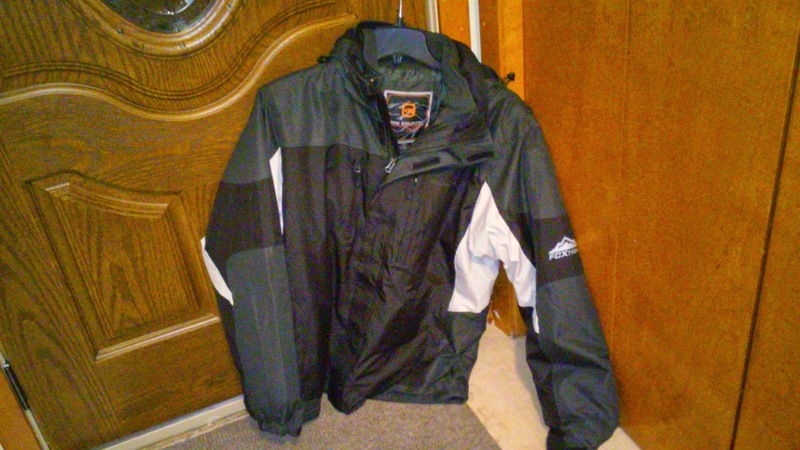 It is an off brand Columbia style coat. It has the typical zip out liner which should be great for a boy of his age. I hope to get it washed tomorrow so he can wear it to school on Monday. I am so proud of you for not smoking! Seriously! Congratulations on not smoking! It's a difficult task, I know, so great job! 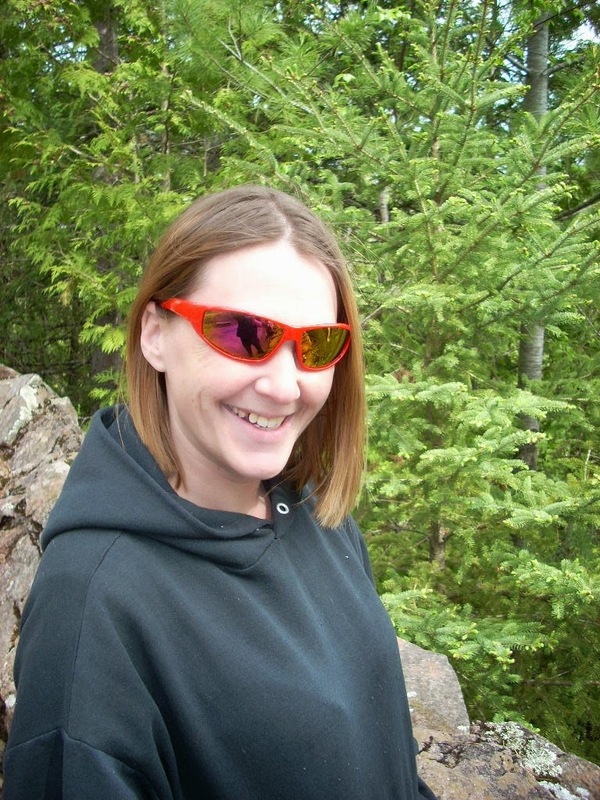 Find your post at Moms Small Victories Sunday linkup! You should feel so proud. 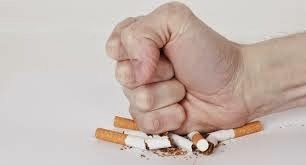 Kicking the habit is so hard but you are well on your way. A month smoke-free is a huge deal. Congrats! Thanks for sharing with us at the #HomeMattersParty this week. Amazing! Congrats on giving up smoking for a month. Good luck with the second month. You got this! Thanks for sharing with Small Victories Sunday linkup!